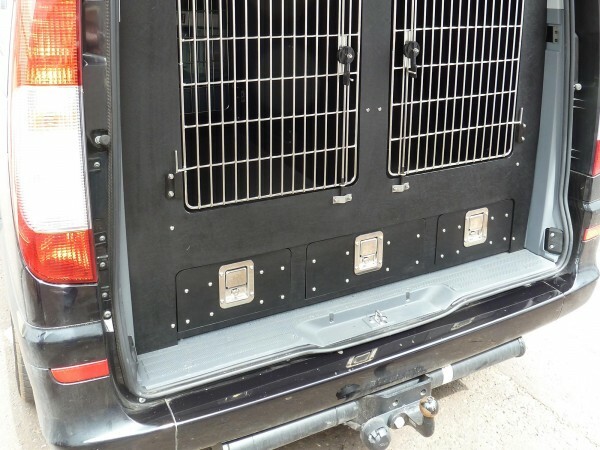 Our bespoke drawer units are an important part of our dog van conversions. 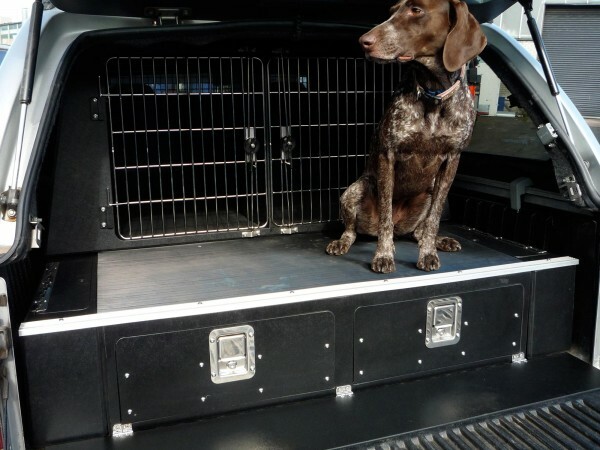 Vehicles converted by Dogtran for the transit of animals include drawer units, which provide additional storage. These drawer units can be above or below the compartments/kennels depending on the vehicle type, and customer requirements. Dogtran has designed drawer units made out of polypropylene, that have many advantages over metal. Polypropylene is highly corrosion resistant, an important factor when transporting nervous animals. 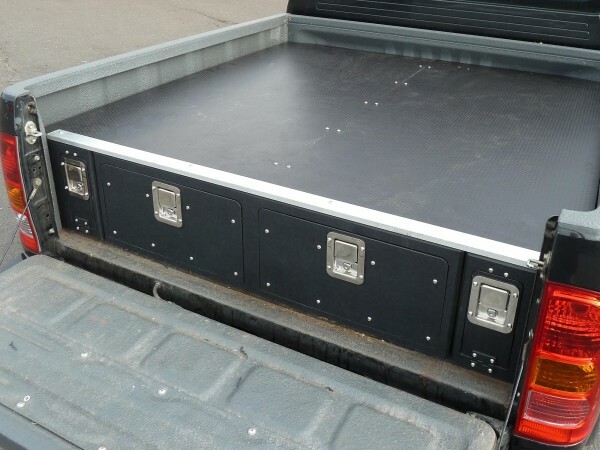 It is also lightweight and rigid and easy to maintain, and has a high tensile strength and excellent thermal insulating properties making it ideal for manufacturing drawer units as part of you dog van conversion. Dogtran’s team of experts can advise and guide on the best possible design of your van conversion, including the location and design of bespoke drawer units. To discuss your van conversion call or email.